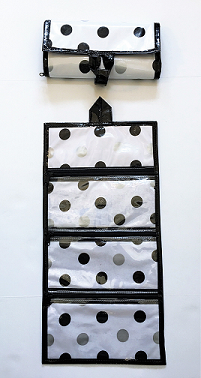 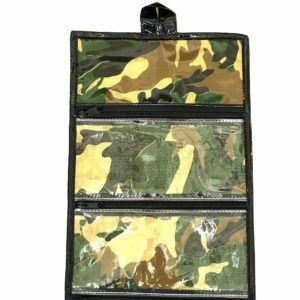 Our hanging toiletry bag is a great multi purpose item. 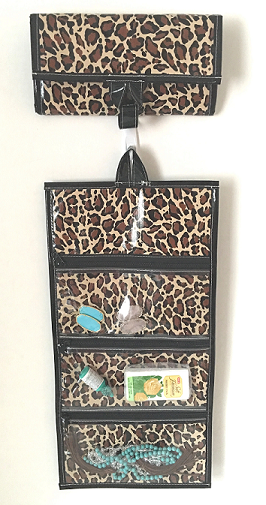 They can be used for toiletries, makeup, essential oils, diaper bag, traveling with kids on the go, jewelry or office organization. 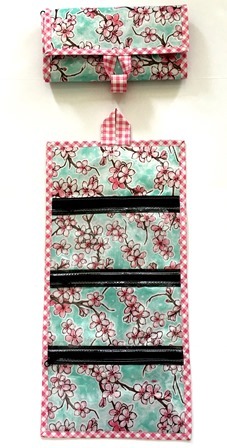 They are offered in one size with three clear compartments.